Want to deepen your knowledge of a specialty area, grow your professional expertise in new directions, or get up to speed on the latest evidence-based practices? 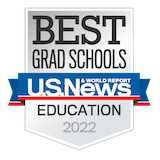 Graduate certificate programs at the Johns Hopkins School of Education are a great place to start. The School of Education offers graduate certificate programs in a wide variety of specialties. They’re the perfect way to broaden the scope of your career, tapping you into the full array of School of Education resources without the commitment of enrolling in a degree program. This 18-credit program is designed for teachers seeking knowledge and skills in curriculum, instruction, and assessment for academically talented students in their classrooms. Recognized by the Maryland State Department of Education as meeting requirements for Gifted and Talented Specialist certification. This 18-credit program offers a unique opportunity for K-8 Mathematics lead teachers to deepen their understanding of mathematics and pedagogy, and to explore leadership opportunities through engagement in the professional development of peers. Designed for current classroom teachers and educational professionals, this 18-credit, fully online certificate enhances science, technology, engineering and mathematics (STEM) content and pedagogical knowledge of elementary teachers, leading to a broad variety of instructional strategies that support learning among all students. This 18-credit program, available online or in-person, is approved by the Maryland State Department of Education (MSDE) for Administrator I certification in school administration and supervision, and is designed for school-district employed certified teachers and other certified personnel pursuing K-12 leadership positions. This 15-credit program designed to prepare master’s degree-holding counselors and other human service professionals for specialized areas of practice through the provision of advanced preparation and supervised experience. This graduate certificate program serves the needs of directors, heads of schools, principals, and other professionals responsible for the management of non-public schools. This 18-credit certificate program, available online, emphasizes effective teaching by health professionals, and can be taken as a stand-alone program or as the first component of the Master of Education in the Health Professions. This 15-credit graduate certificate program is designed to provide educational leaders with the conceptual knowledge and practical skills to organize, implement, and evaluate a team approach to partnerships; create goal-oriented programs of school, family, and community involvement within the larger context of systemic change and reform; communicate effectively with diverse families and community individuals and agencies; and encourage an organizational climate that is conducive to partnerships and collaboration. This 18-credit program assists early-career certified teachers and other education professionals in understanding, valuing, and contributing to schools and communities in urban and urbanizing settings in order to enhance learning outcomes for all students. This advanced 30-credit, post-master’s program offers a concentration in counseling and clinical supervision for counselors who wish to enhance those skills. Students develop individualized programs with specialized concentrations. Designed for certified special educators and professionals in related services disciplines, this 18-credit program addresses competencies necessary to build effective educational programming for students diagnosed with autism or other pervasive developmental disorders. This 15-credit online certificate program prepares master teachers to become proficient at integrating technology into standards-based curriculum to improve student learning. This 15-credit fully online program equips PK-16 teachers, administrators, and student support personnel to explore how research from the learning sciences has the potential to inform the field of education.